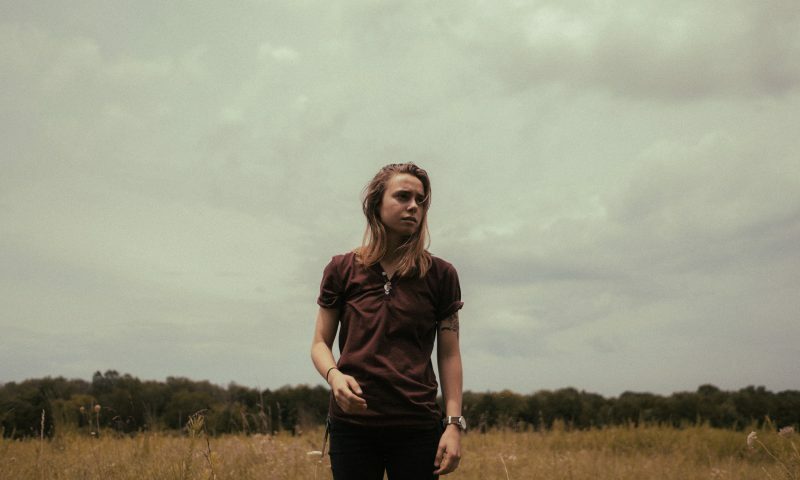 When I first heard Julien Baker, I was immediately taken aback by her honest songwriting and a set of pipes that seem to open her up—baring her soul. Her introspective lyrics coupled with a soft delivery lulls one’s defenses away. She is absolutely amazing. I also enjoy Lucy Dacus, having positively reviewed her album from earlier this year, for much of the same reasons. When I learned that the two of them were getting together with Phoebe Bridgers to release an EP, I was as thrilled as when I first listened to The Bens. As solo acts, all three women have a unique sound and presence, sharing wisdom that should be well beyond their years. As a trio, their differing sounds play out like a symphony full of highs, lows and subtleties that pay off in huge dividends when discovered. The three of them came to Salt Lake on Nov 20 at The Depot, playing three individual sets before gracing the stage together as Boygenius—their collective identity, before calling it an evening. The crowd was quite large and most seemed equally jazzed to see any one of the three performers—but lucky for us—we were getting to see all three. I’m not sure that0 “jazzed” is the right word. I’m sure fans were excited, but showing it was a different story. From the onset, I was shocked at just how quiet the venue was during songs, and even between them. I think most were just mesmerized by the music, much of which was known by heart. It was almost eerie to hear the gal next to me about as well as I could hear whoever was onstage, that’s how silent the crowd was. There were no side conversations, no obnoxious groups who had too many drinks. Not that I have anything against the ways other people enjoy a show, this time it was just different. I couldn’t have requested anything different. It was nice—odd, maybe—but nice. Lucy Dacus went first, and played some of her finest tracks from Historian as well as some from 2016’s No Burden. I love Dacus’ stripped down approach and stage demeanor—clasping her hands in front of her waist, shy like, though very deserving of the following gathered in front of the stage at The Depot—hanging on every note. Next, Phoebe Bridgers played several songs from her 2017 album, Stranger in the Alps, to the avail of the crowd, many of whom stood arm in arm, swaying simultaneously, together, listening to “their” song in person. One of the highlights from Bridgers’ set was a duet with a guy, whose name I missed, that came out and delivered the perfect complement to Bridgers on a cover of Gillian Welch’s “Everything is Free.” Another song that stood out was “Scott Street,” on which a violinist named Camille Faulkner played stunningly, as she did all night. The strings made the song a memorable finale for Bridgers’ incredible set. Those were great moments, but the one that stood out the furthest in my opinion was the performance of a yet to be released song, one without a name. She asked that nobody leak it on YouTube because it was likely to change, and, respectfully people lowered their phones. I wish she wouldn’t have asked to keep it unreleased, selfishly, only because I don’t know when I might hear it again. But, I’ll be on the lookout for a track that references the dog with a bird in its mouth. I had to shake my head to escape the momentary reverie I was taken upon. All three joined each other on stage as Boygenius and basically gave us all of the self-titled EP, released a few months ago. Each has moments where they shine, using each voice in its best settings, each taking a turn in the rear, playing backup. Their ebb and flow is perfectly balanced, as though their crossing paths was more than chance happenings—like they were meant to come together to write amazing music and inspire young lovers holding one another to keep their heads up, or to inspire aging cranks to jump back in to whatever got cold. I’m certain Boygenius is a temporary thing. I wish it wasn’t, but I count myself very lucky to have seen it live, unfolded, in front of my very eyes.